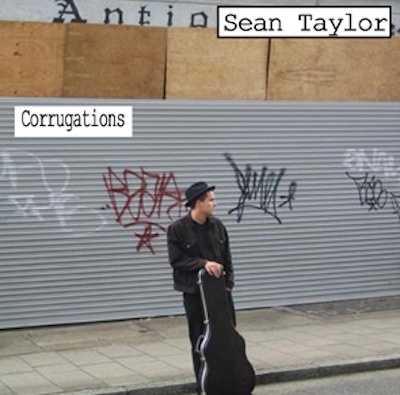 Sean's debut album Corrugations was released in November 2006 and received great reviews throughout the press, radio and music industry. Blues Matters wrote "Every note and every line is musical perfection ... his guitar work and piano playing are nothing short of superb". Folk Radio UK called the album "wonderfully crafted and reminiscent of Bob Dylan". Black Cat Music said "Sean Taylor sits comfortably in the genre created by Tom Waits but this masterful album is unique. The contrast of guitar and keyboards adds light and shade to a great musical performance". Classical Guitar World called it a "masterpiece". Corrugations has been broadcast on radio stations in England, Australia, America, Canada, Germany, Poland and France. An album sampler containing tracks from the album will shortly be available on this page. Just click the Paypal button below to buy this album.